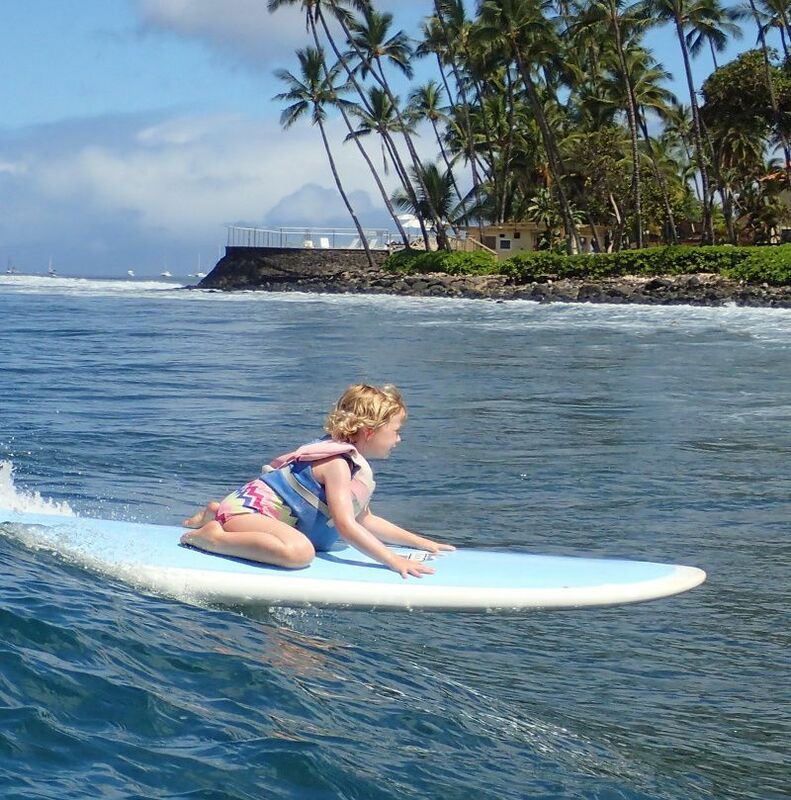 Puamana Maui… can you hear the ukulele music and smell the plumerias? Puamana is an oceanfront community on the south end of Front Street on the island of Maui, Hawaii, (USA!) comprised of 230 townhouses, all individually owned but permitted for vacation rentals. 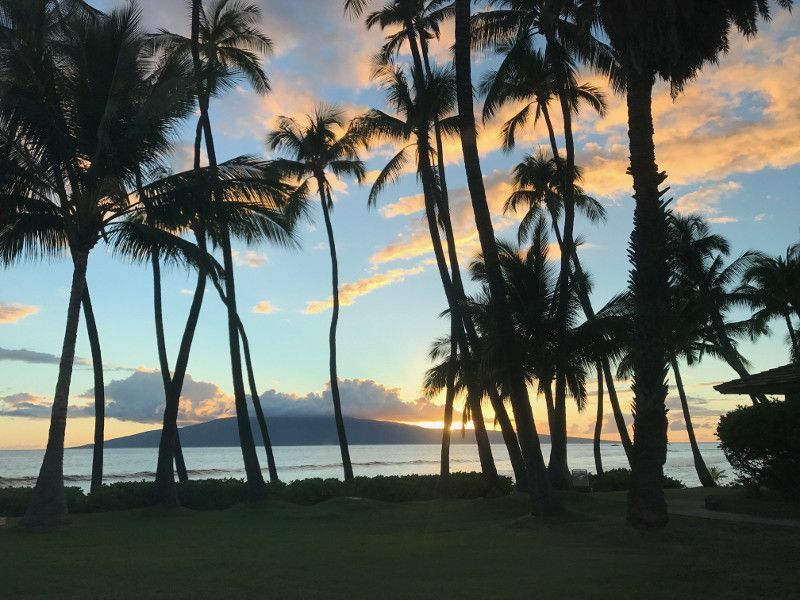 The gated neighborhood, five minutes from historic Lahaina Town, is spread out over 30 ocean-front acres around heritage clubhouse, swimming pools, and a tennis court. Some of the amazing landscaping at Puamana at the entry gate. I love the copper patina’d sign. 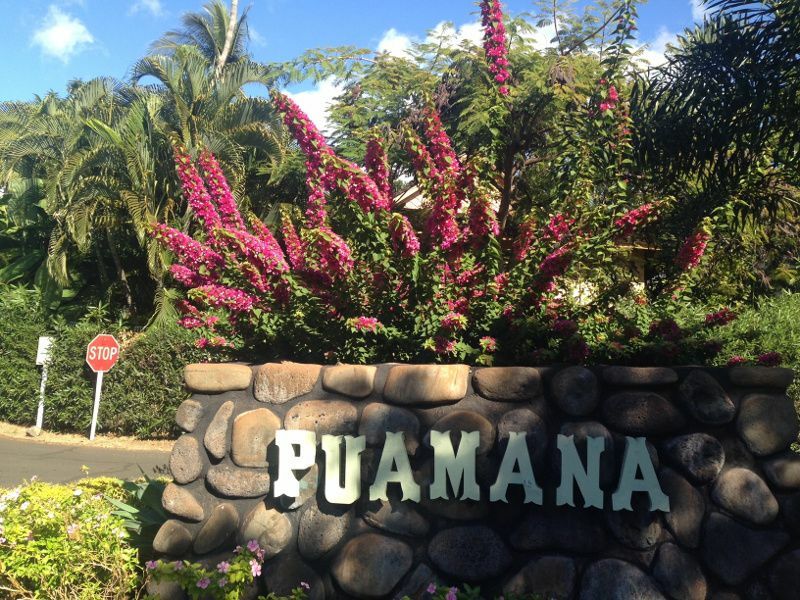 Puamana is home to a mix of full-time residents, vacation renters, and owners who spend 6-months a year here. 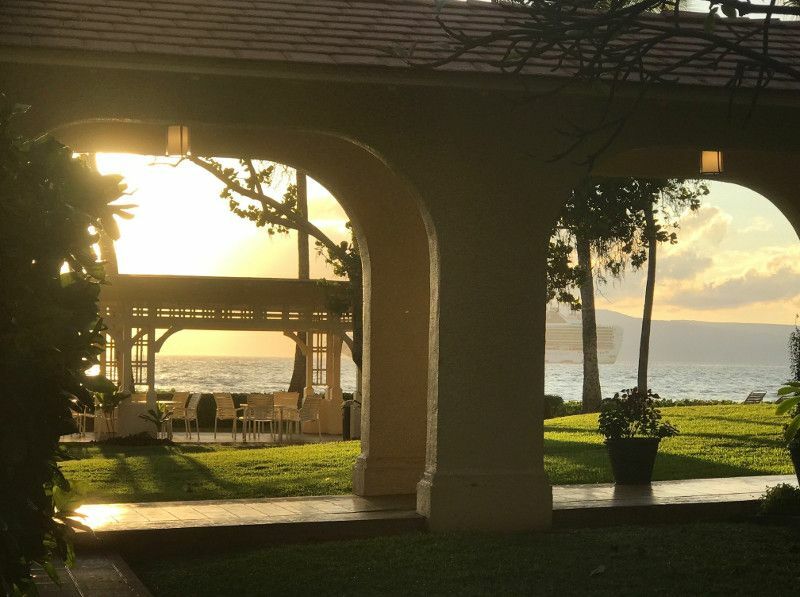 The park-like areas near the clubhouse, mango tree or main beach access are natural gathering places for whale-watching, surfing, or watching the sunsets and socializing. The clubhouse was built 100 years ago and is rich with traditions. It was home to the Lunas (managers) of the sugar cane fields that once surrounded the area. Irmgard Farden Aluli, who wrote the song Puamana, and her sister Auntie Emma, were part of the Farden Ohana who lit up the clubhouse with their singing and dancing. Today the beloved clubhouse is alive with community events such as family movie nights, holiday events, and an ocean-view gym. Puamana is a great place for families as Pualei drive is like main street in the evening: kids out on bikes and skateboards, people pushing the stroller, or just out for a walk. 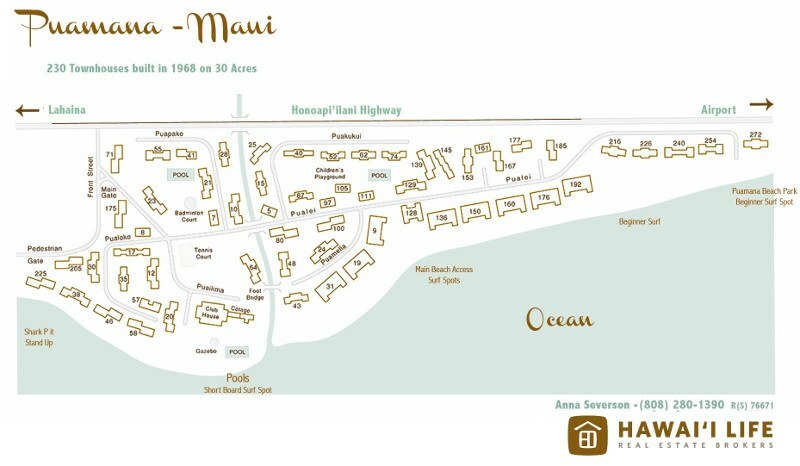 Click here for a printable version of this Puamana Maui Map. The building numbers can be perplexing! Average maintenance fees are around $850 a month plus a special assessment of $140. The special assessment has been around for years now, and it doesn’t look like it will be going away anytime soon. The board is saving reserve funds to pay for the ocean pool facelift among other projects. Puamana maintenance fees are competitive and worth it when you look at what we have; it’s like belonging to a country club. 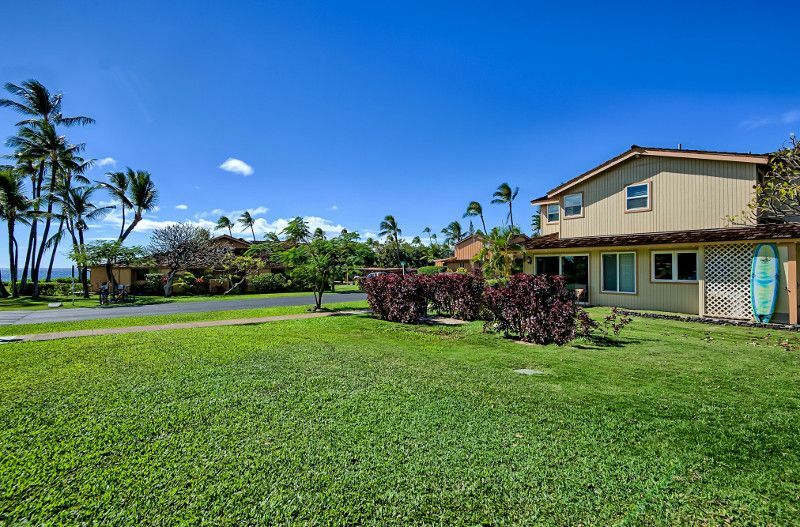 Currently, there are only a few homes for sale in Puamana. 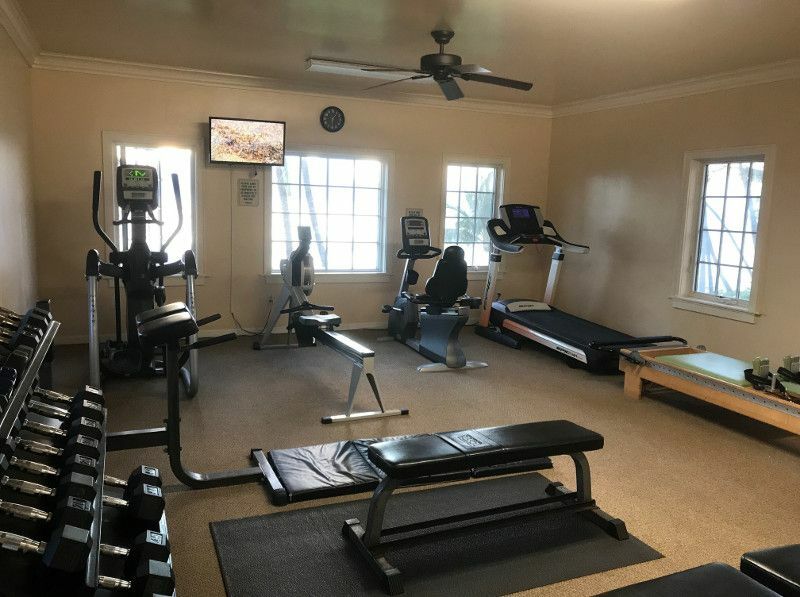 We have a beautiful 3-bedroom listing (MLS 376867) nicely updated popular vacation rental, fantastic for families as it is located centrally by the dolphin pool and easy entry to the ocean. Another is on the quiet Puamelia Place. For information or to view these townhomes or other condos that may come up for sale, kindly contact me and I’ll buzz you in the front gate! Grassy yard in front of 111-2 Pualei – easy walk to the ocean or pool – ocean access to the left.